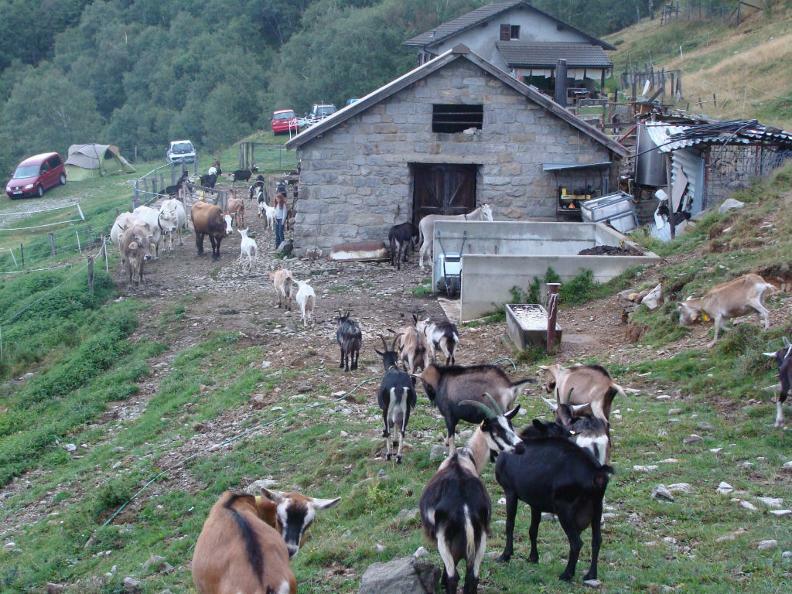 The agritourism of Alpe Zalto is located along the hiking itinerary Isone – Gola di Lago, very close to the point of arrival of other itineraries that have the area of Gola di Lago as fascinating destination. It may also be reached by mountain bike or by car following the road that from Tesserete takes you to Gola di Lago by way of Lelgio. The agritouristic season goes from June 1st to September 15th. Local products are sold directly on the “Alpe”. The restaurant offers drinks, cold meals and hot meals upon reservation. Cows, goats, horses, pigs, rabbits. Accommodation with farmer breakfast: 1 dormitory with 12 beds or on the straw with 6 beds. Warm meals and dinners for groups (by reservation). Opportunity to help during milking and other activities. Several hiking and mountain biking trails. From the middle of May until the end of August. September and October by reservation.